By Britt Gillette 5 Comments - The content of this website often contains affiliate links and I may be compensated if you buy through those links (at no cost to you!). Learn more about how we make money. Last edited November 5, 2018 . When it comes to saving for your retirement, a Roth IRA offers you a simple and understandable vehicle for planning ahead. But while investing in your Roth IRA isn't rocket science, investors from all walks of life tend to encounter the same potential pitfalls over and over. So make sure you know the rules of the game as well as the hidden dangers which threaten to throw a wrench in even the best laid retirement plan. One of the worst mistakes you can make is to not make any contribution at all to your Roth IRA. If doing so is part of a well thought out financial plan, that's fine. But if it's due to a failure to plan, you're making a big mistake. Investing just $6,000 per year at 8% for 35 years is $$1,116,612! Likewise, a failure to contribute the maximum amount to your Roth IRA each year is also a big mistake. Let's say you contribute $1,000 per year less than the annual maximum. At 8% a year over 35 years, that $1,000 per year adds up to $186,102! Don't make the mistake, contribute the maximum! When it comes to Roth IRA withdrawals, you can always withdraw your original Roth IRA contributions tax-free and penalty-free. However, in most cases, you need to wait until age 59 ½ (as well as meet the provisions of the five year waiting period) before you can withdraw earnings or conversion amounts. Furthermore, each Roth IRA conversion you perform is independently subject to the Roth IRA five year rule, and this tends to be a major stumbling block for some people. For instance, let's say you're 62 years old, and you've had a Roth IRA for ten years. Three years ago, you performed a Roth IRA conversion, and you've currently withdrawn every penny of your original contributions tax-free and penalty-free. Since your Roth IRA meets the provisions of the five year waiting period, and you're older than age 59 ½, you can withdraw your remaining funds tax-free and penalty-free, right? Wrong. Under the IRS ordering rules, you need to withdraw your conversion amounts after you've exhausted your original contributions. But since you performed a conversion three years ago, the conversion does not yet meet the provisions of the five year waiting period, so you need to wait another two years to avoid the 10% early withdrawal penalty. Believe it or not, it's relatively easy to make an excess contribution. For instance, let's say you max out your Roth IRA contribution for the year, but then experience a significant rise in income. That's great news! But if your income increases beyond the IRS limits, you'll end up with an excess contribution. Fortunately, it's easy to correct. As long as you remove the excess contribution prior to filing your taxes, you don't have to worry about any penalties. Otherwise, you'll incur a 6% annual penalty on the amount of your excess contribution until it's removed. 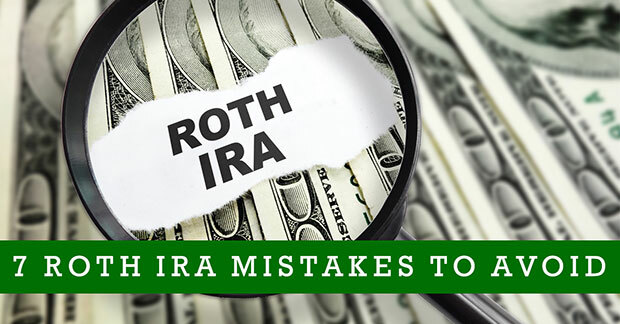 One of the most common Roth IRA mistakes involves paying too many of your hard-earned dollars in unnecessary fees. Some financial institutions charge an annual fee for hosting a Roth IRA account. Make sure yours isn't one of them. Any number of discount brokers will offer you a no-fee Roth IRA. So save your money. Also, the majority of account holders use their Roth IRA to invest in the stock market, usually through mutual funds, index funds, and/or exchange traded funds (ETFs). Each of these funds comes with an expense ratio – an annual fee which covers the cost of operating, managing, and marketing the fund. Some expense ratios can run well in excess of 1.5% annually, but a good S&P 500 index fund (or other widely held benchmark fund) will have an expense ratio of 0.10% or less. Unless you're absolutely in love with your mutual fund manager (and the market-beating returns make the added expense worth it), you should shop around for the lowest expense ratio possible. Why? Because just 1% annually can add up to a lot of money. For example, let's assume you invest $5,000 per year at 11% for 35 years, but I invest the same $5,000 per year at 10% over the same time period – a mere 1% difference. How much more money do you end up with? $1,900,822.03 vs. $1,495,634.03 – a difference of $405,188 or 27% more money! You hear a lot about the need for diversification in the financial media, and the wisdom of diversification is well documented. Nevertheless, it's possible to be too diversified. How? Let's say in an effort to be truly diversified, you own multiple mutual funds and ETFs. You may be diversified in terms of owning multiple funds, but does that make you anymore diversified in terms of what stocks you own? You may be surprised to learn those multiple diversified funds own pretty much the same stocks. If so, your effort toward diversification efforts is sticking you with several unnecessary costs. It might be best to go with a broad market index fund such as the Vanguard Total Market Index (VTI) which sports a 0.07% expense ratio and provides you with all the diversification you need. Another common Roth IRA mistake is thinking you earn too much to make a contribution. IRS regulations prohibit you from making a Roth IRA contribution if you're married filing jointly and earn over $203,000 or if you're single or head of household and earn over $137,000. But that doesn't mean you should give up on making a contribution! If you earn too much to make a direct contribution to your Roth IRA, you can always make non-deductible contributions to a Traditional IRA, then convert your Traditional IRA to a Roth IRA. Since your Traditional IRA is funded with non-deductible contributions (meaning you already paid income taxes on those contribution dollars), performing a Roth IRA conversion won't trigger an income tax liability. So even though you technically earned too much to make a Roth IRA contribution, for all intents and purposes, you just made one! Many people make the mistake of thinking the end of the calendar year is also the Roth IRA contribution deadline. But the actual deadline is the same as the tax filing deadline – April 15th in most years. So if January comes around, and you only managed to contribute $5,000 of your $6,000 maximum annual Roth IRA contribution, it's not too late. You still have until April 15th to contribute the remaining $1,000. Avoid these seven common mistakes, and you'll thank yourself in your retirement years. Why? Because you'll have more money. Just a few pennies here and a few dollars there can add up to a substantial sum of money over long periods of time, so make sure you don't commit any of these mistakes when it comes to your Roth IRA. 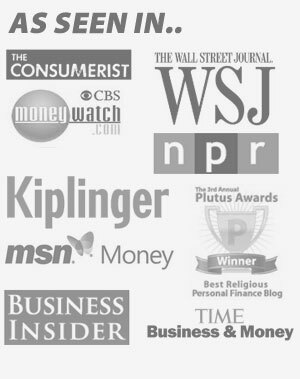 This is an article from Britt at http://www.your-roth-ira.com, the Web’s #1 resource for Roth IRA information. You can follow him on Twitter. On #6 – Careful. If you already have an IRA, and there’s any pretax money in there, the conversion is pro-rated. You have one Traditional IRA, regardless of ow many accounts it’s in. So, if there’s $15,000 in pretax money already there when you make that non-deductible deposit of $5,000, 75% of the conversion is subject to tax. Even if the money wasn’t co-mingled. Thanks for the info! I’m finally to the point where I’ll max my Roth IRA this year, if I put in a little extra at the end of the year to make up for the first few months where I was contributing less. I’m glad to know I have a few more months that I thought! Am I understanding correctly that I could start an IRA before April 15th with a $5500 contribution for 2018 then contribute $6000 for 2019? Or would I have needed to do so prior to filing my taxes? I’m late to the game, trying catch up on retirement savings, and not sure really where to start, any advice is appreciated! Yes, you can contribute to a Roth IRA up to tax day. So for 2018 you can contribute from January 1st, 2018 all the way up to April 15th, 2019. You can do it even after filing your taxes because the Roth IRA is funded with after tax dollars, so there is no tax benefit or deductions for contributing to a Roth IRA. So if you have a spare $11,500, I say go for it. I’ve even heard of some people funding their Roth IRA using a tax refund! Previous Post: Can You Afford Your Lifestyle?